Fibre optic is the cabling revolutionising the speed and quality of information transmission. If your business relies on transmitting large amounts of data at high speeds, including voice and image files, then you should definitely be considering fibre optics. Our experienced engineers in Witney are cabling specialists and are on hand to equip your business with modern, up-to-date technology which can put you ahead of your competitors. Although more costly than traditional cabling, you can discover many great benefits of switching to fibre optics. Future-proof your business with high quality fibre optic cabling in Oxfordshire and surrounding counties. 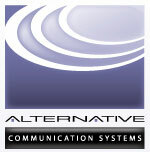 Call Alternative Communication Systems today for a free consultation.